This essay examines the concepts of asuras and devas in Hindu, Zoroastrian, Manichaean and Christian theology. It looks specifically at the split that occurred in the religion of the Indian and Persian branches of the Aryan language group around the time of Zoroaster, with a particular focus on the development of the concepts of both God and Devil from the early Aryan magical beings, devas. Disclaimer: When I wrote this paper as a graduate student I was far more impressed by Richard Dawkins concept of memes than I am now. Though I use Dawkin’s idea as a means of structuring my narrative, the real goal of this essay is to tell the remarkable story of how our concepts of both God (deus) and Devil had origin in the same magical beings (devas) worshiped by our Indo-European ancestors. A second disclaimer. Since the time this paper was first written some ground-breaking research in genetic history has been conducted which has created a firm evidentiary basis for the story of the origin and spread of the Indo-European language group. One quiet Saturday I will need to update this paper to reflect that research (as well as fix a bit of the formatting). One of the most important religious memes in the culture of the Indo-European language groups, is the concept of the deva, which is found in some form in the majority of the myths, philosophies and/or religions of the Indo-European peoples. In one major branch of the meme, devas are magical beings with varying powers, that are often but not exclusively associated with good. In another branch they are demons and/or agents of the devil. In contemporary western European culture both memes occur in the form of the contradictory concepts of devils and divinity. The story of how the original deva meme split approximately 2,500 years ago into two major branches and then re-merged during the spread of Christianity, provides interesting material for the evaluation of the relevance of memetic theory to cultural analysis. 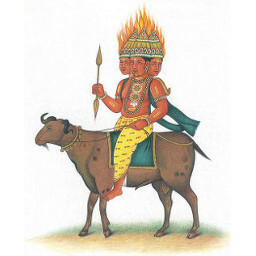 In the Ṛg Veda, the confrontation between the devās and the ásurās is presented as an epic battle between old and new gods. Thieme, Paul “The ‘Aryan’ Gods of the Mitanni Treaties” Journal of the American Oriental Society, Vol. 80, No. 4. (Oct. – Dec. 1960) page 316. “Baltic religion.” Encyclopædia Britannica. 2007. Encyclopædia Britannica Online. 14 Dec. 2007http://www.britannica.com/eb/article-9110625. and “Germanic religion and mythology.” Encyclopædia Britannica. 2007. Encyclopædia Britannica Online. 14 Dec. 2007 http://www.britannica.com/eb/article-65411 It is tempting to argue that the Northern European branch of the meme is the one that is truest to the pre-historical prototype, because it developed without any of the assimilating processes that occurred in the Mediterranean, the Near East and India: the northern forests of Europe were sparsely inhabited when the Aryans arrived. Though the exact dates of both the Vedas and the Avesta are subject to dispute, the argument for their being contemporaneous can still be made based on similarities between old Avestan and ancient Sanskrit. Peabody, Berkley in The Winged Word: A Study in the Technique of Ancient Greek Oral Composition as Seen Principally Through Hesiod’s Works and Days (Albany NY State University of New York Press, Albany: 1975 page 25 notes that “The language of the Gāthās, the Vedas and the Greek epos all derive from a common Indo-European linguistic base. The language of the Gāthās is very close to that of the Vedas. Whole stanzas can be translated from one language to the other simply by effecting regular phonetic changes. Between these two a close historical relationship can be postulated. Greek, although it is perhaps closer to Indian than to any other language that we know, is nonetheless more removed in almost every respect from Vedic than is the language of the Gāthās. The first references to devas as explicitly bad magical being, are recorded in the principal religious texts of the Mazdean religion, which are collectively referred to as the Avesta. The exact dates of the works are unknown but they are typically placed in the period between 1200 BCE and 600 BCE18. Kellens, Jean Essays on Zarathustra and Zoroastrianism trans Prods Oktor Skjærvø Mazda Publishers 2000 Costa Mesa California dates the Avesta to the later years of the second millennium. Whitley, C.F. “The Date and Teaching of Zarathustra” Numen, Vol. 4, Fasc. 3. (Sep., 1957) pp 215-227 argues that the traditional date that Zarathustra (258 years before Alexander) is accurate.n Strong similarities between the language of the Avesta and the Vedas suggest, as noted by Peabody, among others, supports Kellens claim for an earlier date for the original Zoroastrian texts. The Avesta is comprised of a number of chapters (Table Two). The oldest, and most theologically significant, is the Yasna, which is divided into a number of parts – the Gāthās (hymns), which tradition holds were written by the prophet Zoroaster himself; the Haptañhāiti Gāthā, which were probably written at the same time as the Gāthās, though are less rigidly monotheistic than the Gāthās; and Yasna proper, which is a collection of liturgical writings. Whitley, C.F. “The Date and Teaching of Zarathustra” Numen, Vol. 4, Fasc. 3. (Sep., 1957) pp 215-227 In the sixth century the Anshans (from Pars), led by the Achaemenian king Cyrus, conquered Khorosan and immediately began to incorporate elements of Mazdaism into their official ideology (Figure 2). By time the reign of Xerxes I, approximately 100 years after Cyrus, Zoroastrianism has become the official religion of the Persian Empire. The daevas had become associated with the political enemies of the Achaemenian king and the priestly caste, the Magi. One of the more interesting developments of the deva meme, as it migrated westward, was that the Indo-Aryan and Iranian branches of the meme, which has split approximately one millennium before Christianity, merged when Paul of Tarsus introduced the Jewish notion of devils into Greece and Rome during the first century of the Christian era. As noted above, in ancient Greek mythology, demons (daimon) appear as magical beings that lie roughly between man and God, with a theological role very similar to the devas of northern European and Vedic mythology. Beginning in the sixth century BC, the pre-Socratics, led by Heraclitus, transform A famous inscription commissioned by Xerxes I in the fifth century BCE, outlines the political nature of the theology surrounding the concept of daevas, oncethe notion of daimon from something magical into something related to the moral choices/moral sensibilities of men (ethos) 26 Darcus, Shirley “Daimon as a Force Shaping Ethos in Heraclitus” Phoenix, Vol. 28 1974 4 pp 390. From a memetic perspective, it is worth noting that it is precisely this notion of ethos that gets developed by humanist scholars such as Erasmus in the fifteenth century ACE. This notion of daimon persists in the Greek world until the Christian era. 26 As noted above, in ancient Greek mythology, demons (daimon) appear as magical beings that lie roughly between man and God, with a theological role very similar to the devas of northern European and Vedic mythology. Beginning in the sixth century BC, the pre-Socratics, led by Heraclitus, transform A famous inscription commissioned by Xerxes I in the fifth century BCE, outlines the political nature of the theology surrounding the concept of daevas, once the notion of daimon from something magical into something related to the moral choices/moral sensibilities of men (ethos).27 This notion of daimon persists in the Greek world until the Christian era. In the first century ACE Christian missionaries introduce the Jewish version of the deva meme into the Graeco-Roman world. By the time of Emperor Constantine’s conversion to Christianity in the fourth century ACE, the notion of daimon as something related to the moral consciousness of individuals has become been replaced by the purely pejorative notion of demons as a type of devil. The triumph of the Judeo-Christian version of the deva meme, with its emphasis on Satan as king of the devils, leads to the near destruction of all other European religions. Nevertheless, the replacement of the old Indo-European religions by Christianity does not result in the destruction of all of those religions’ ideas. The Greek concept of divinity for example, persists, even as the notion of devils is propagated by Christianity. Likewise, much of the symbolism of the initial Indo-European religions persists in pagan, and Celtic revivalist practices to this day. The branching of the deva meme into Indian, Iranian, Greek and northern European variants, and the subsequent triumph of but two of these variants, the Vedic and Christian, provide considerable material for the evaluation of the usefulness of memetic theory to the study of cultural history. Berkley: University of California Press, 2002 Indeed, it is tempting to suggest that the split between the Iranians and the Indo-Aryans may well have been the result of Zoroaster’s reforms themselves. There are other examples of drift in the deva meme as its spreads over Europe and the near east and India. 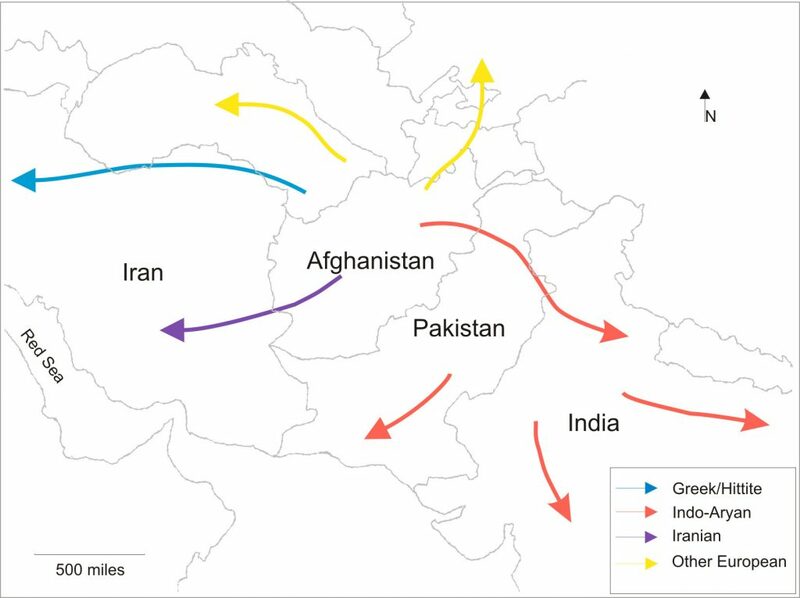 In the cases of the Indo-Aryans, the Iranians and the Greeks, mutations follow cultural fault lines. The Iranian version of the meme is influenced by Babylonian culture, and the Greeks and Indo-Aryans are influenced by the temple religions of the Mediterranean and Dravidian people, respectively. Textual Sources for the Study of Zoroastrianism Trans. and ed. Boyce, Mary. Chicago: The University of Chicago Press, 1984 The introduction provides an excellent summary of the provenance of the Zoroastrian texts. Despite this, the Vedas and the Avesta have been so well preserved that comparisons between one ancient language and the other can happen simply by making minor adjustments, for example replacing the Avestan H with a Sanskrit S. It is clear that these texts were considered extremely important by their respective cultures and were painstakingly preserved by them. Dawkins, Richard The God Hypothesis Houghton Mifflin Company New York: 2006 page 197. Blackmore, Susan The Meme Machine Oxford University Press Oxford and New York: 2000 The concept of the deva, for example, can be easily placed with a number of Indo European memes originally initiated by the Aryans (see Table Three). These clusters of memes, when considered together, provide an extremely useful way of in-filling stories where the historical and/or archeological record is incomplete. Perhaps the most compelling of all of the arguments made by Dawkins and Blackmore is that memetic theory can help to explain the persistence of ideas, like martyrdom, that harm, or at least confer little benefit (defined as survival and replication) to their hosts. The idea is compelling, but is problematic in that it posits memes not merely as a way of explaining data, but as entities that act independently of, and often at odds with, the interests of their human hosts – agents without a discernible identity. The developments of the concept of the devil in Babylonia, and the concept of daimon in pre-Socratic Greece, and the spread of the Mithraic cult to Rome, however, all indicate that it is facile to consider the development of religious memes as strictly reflecting the class interests of priests and kings, or the institutional demands of bureaucracies. The development of the concept of Satan, the king of the devils, that occurs during the Jewish exile to Babylon for example, is viral in nature, reflecting inputs from Assyrian, Babylonian, Mediterranean and Iranian cultures and which results in an religious ideology quite distinct from –and ultimately at odds with – that of the ruling Achaemenians. The spread of the Mithra cult from areas controlled by Imperial Rome’s enemies, the Seleucids Empire (located roughly in modern Syria, Iraq and western Iran) into the heart of the Roman army likewise underscores the viral manner in which religious memes can mutate and then transfer across cultures, completely independently of the interests of the classes for which they provide ideological justification. The case of the pre-Socratic transformation of the word daimon into something with moral philosophical underpinnings underscores another factor often overlooked by commentators in this field, which is simply that cultural changes are typically the result of human action (though not necessarily human agency), even if there is no historical record revealing the exact role of the actors. Again, the memetic approach, which underscores the viral nature of the spread of ideas, in this case from person to person, provides a very useful way of conceptualizing how it is that religions are created, persist and spread. Memetic theory – despite its scientific provenance and pretensions – is ultimately not a method for creating repeatable, scientific cultural experiments; and the claim that memes can be considered as cultural units that are distinct from human agency, has by no means been conclusively proven. That does not make the concept useless. As we have seen, memetic theory provides extremely useful tools for studying the genesis and propagation of our culture’s often-times irrational and malignant myths. “Baltic religion.” Encyclopædia Britannica. 2007. Encyclopædia Britannica Online. 14 Dec. 2007http://www.britannica.com/eb/article-9110625. 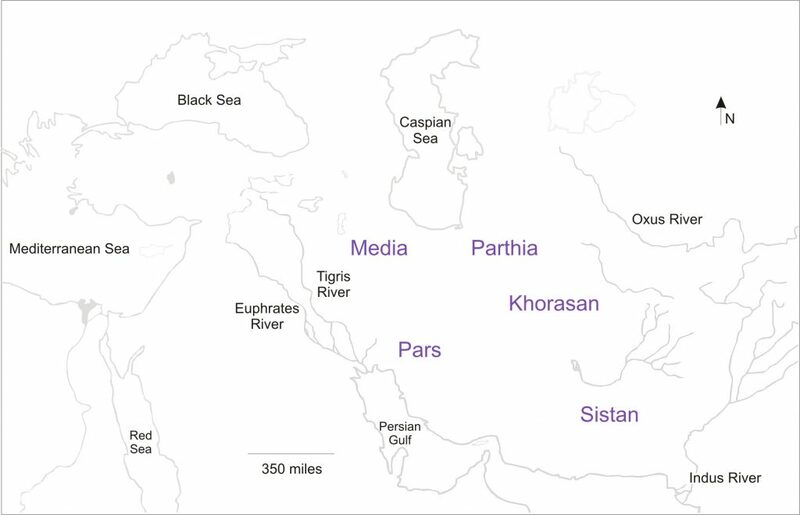 Textual Sources for the Study of Zoroastrianism Trans. and ed. Boyce, Mary. Chicago: The University of Chicago Press, 1984. The Bhagavad-Gita. Trans. Miller, Barbara Stoler. New York: Bantam Books, 1983, third edition. Barthes, Roland Mythologies trans. Jonathan Cape Ltd. Editions de Seuil New York 1972. Campbell, Joseph The Power of Myth. Ed. Flowers, Betty Sue New York: Doubleday Press, 1988. Littman, Robert J. “The Religious Policy of Xerxes and the Book of Esther” The Jewish Quarterly Review, “New Ser. Vol. 65, No. 3 (Jan. 1975) pp 145-155. Molé, M. “Réponse à M. Duchesne-Guillemin” Numen, Vol. 8, Fasc. 1. (Jan., 1961), pp. 51-63. Patten, Laurie L. “Making the Canon Commonplace – Rg Vidhana as Commentarial Practice” The Journal of Religion Vol. 77 NO. 1 Jan 1977 pages 1 – 19. Skjærvø, Prods Oktor “Review: The State of Old Avestan Scholarship” Journal of the American Oriental Society, Vol. 117, No. 1 (Jan. – Mar., 1997), pp 103-114. Thapar, Romila “Cultural Transition and Early India: Tradition and Patronage” Social Scientist, Vol 15, No. 2 (Feb. 1987) pp 3-31. Thapar, Romila “Sacrifice, Surplus and the Soul” Forster Lectures on the Immortality of the Soul delivered at the Universityof California, Berkeley, April 9 1992. Thieme, Paul “The ‘Aryan’ Gods of the Mitanni Treaties” Journal of the American Oriental Society, Vol. 80, No. 4. (Oct. – Dec. 1960) pp 301- 317. Thompson, George “The Brahmodya and Vedic Discourse” Journal of the American Oriental Society Vol. 117 No. 1, 1997 pages 13-137.